AUSTIN, Texas -- Texas will pay $3.4 million to a couple who were wrongfully imprisoned for more than two decades on prosecutors' claims that they sexually abused children as part of satanic rituals at a day care they operated. 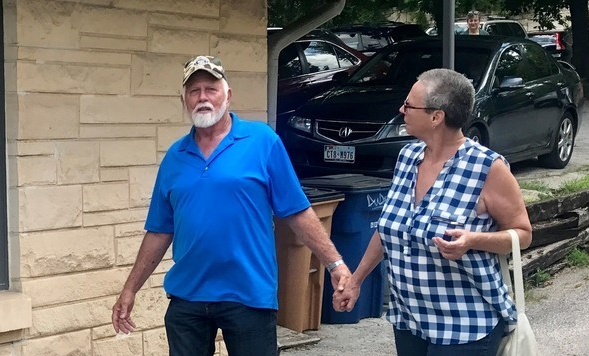 Dan and Fran Keller learned Tuesday that they'll receive the payment from a state fund for the wrongly convicted, the Austin American-Statesman reported. "There was not enough evidence left," Moore said at the time, according to CBS affiliate KEYE. "We work every day to insure that the cases we bring are appropriately brought and that's all I can answer is for what we do now." The Kellers were freed in 2013 after the Texas Court of Criminal Appeals found a doctor was mistaken in determining there was physical evidence of assault. The appeals court ruled deemed the doctor's testimony to be false, and the doctor himself also recanted it. Further bolstering the Kellers' case was an interview the alleged victim provided in 2013 in which she acknowledged having no memory of being abused, Moore said in June. The determination of outright innocence made Dan Keller, 75, and Fran Keller, 67, each eligible for $80,000 in compensation for every year they were wrongfully imprisoned. They'll also receive a matching annuity that provides annual payments of 5 percent interest for as long as they're alive, according to the Statesman. "This means we don't have to worry about pinching pennies on Social Security, and late bills. It means we will actually be free. We can start living -- and no more nightmares," Fran Keller told the newspaper. They'll look to buy a house, vehicle, health insurance and better hearing aids for Dan Keller. Their attorney, Keith Hampton, was not available to comment Wednesday, but he previously told the Associated Press that notorious claims of abuse at other U.S. day care centers were part of a hysteria that began in the 1980s about secretive cults targeting children.